Learn how to put your best self forward at trade shows! Every industry has unique opportunities to present themselves to potential clients, vendors, or strategic partners in their industry. Many times, these opportunities come from expos or tradeshows. To take advantage of these events, it is good to know who you will be speaking to and how to put your best self forward. A strategic and professional presentation for your presence can be accomplished through making sure that your brand stands from the crowd. Using custom backdrops, table cloths, and pull up banners can make for ease of presentation and branding exposure. 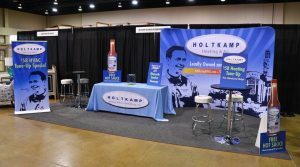 These backdrops are useful in both business-to-consumer expos or business-to-business industry trade shows because they focus on your logo and company – and not necessarily on the specific event. Creating eye-catching graphic presentations can draw visitors to your location among a crowd of other participants. 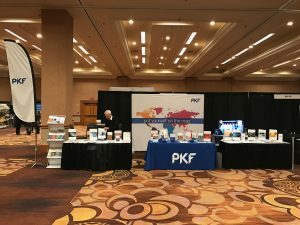 The decisions about what to present at your booth table is strictly based on who you will be speaking to in the event. If you are speaking to industry-specific vendors and partners, then providing brochures and custom information about upcoming projects or needs could be your key pieces of marketing material. However, if you are speaking to a general audience then providing basic information about what your company does, how to find and follow your company, and generic table give-a-ways can be a key component of your presentation. Always keep in mind that even though typical items such as pens, cups, and sandwich clips may seem traditional and boring – they work. Having something to remind a visitor of your company is key in reminding them about your face-to-face conversation down the road. It is a good idea to have those few special items for conversations that seem particularly useful, but don’t forget to get something in the hands of everyone. It may seem so basic you wonder why its mentioned, but making sure that you have plenty of business cards to provide to those you speak with can be key in your conversations. It is also helpful when you need to make sure they have the appropriate contact information to reach out after an event. How heavy is the backdrop? Will it be easy to transport and set-up? How big is the booth space of the event you normally attend? Do you need different looks to brand your business in different events? Does your marketing and promotional material give someone something to look at after the event? Does your expo presentation represent the professionalism of your business? Do you have a custom table-cloth? Finally, promote yourself well before the day of the event. Do you have social media channels, clients in the area, potential customers that you can reach out to an invite them to come by for a non-formal conversation? Let them know about the cool items you are giving away or special promotional items they have a chance to win! 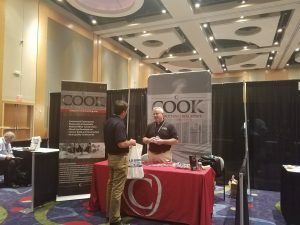 Making the best of your booth and participation can often come from making sure that you have a chance to talk to visitors that you wouldn’t usually get a chance to see. 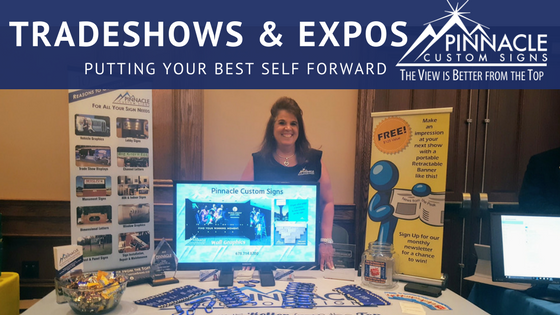 For more information on specific items to brand your business at tradeshows and expos- read our post on How to know what Trade Show options work best for your business. Pinnacle can provide you with years of experience to answer each of these questions. Finding the right presentation for your company can be accomplished by working with Pinnacle to provide resources for your complete tradeshow or expo experience. Just give us a call for a complimentary consultation.